No time for a Gem. We have a medical emergency happening NOW at an Emergency Hospital in Plainfield IL. 7 year old “Hobbit” was found in a box with wounds to his hind quarters and legs. (Open wounds with live maggots crawling in them). His core body temperature was only 93 and it should be 101.5. Small Pawser Julie Lyne went to get him. 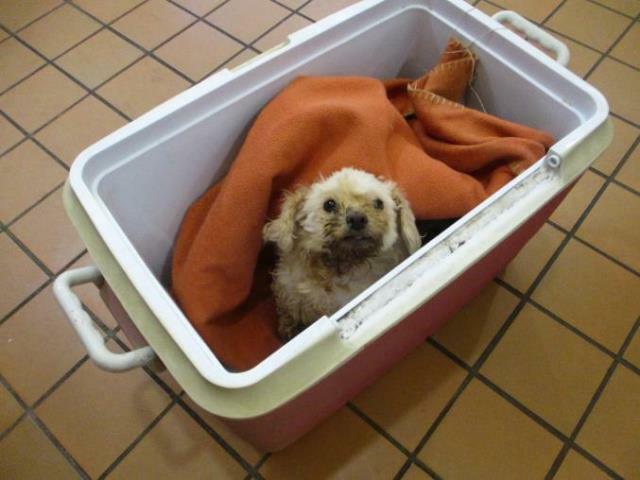 We now have him at the Animal Care Center of Plainfield, a 24 hour Emergency Care Hospital in Plainfield Il. where they are using warm fluids and warming blankets to heat him back up. His testicles and hind quarters were infested with maggots. They are infected and inflamed. He is in pain. He’s trying so hard. 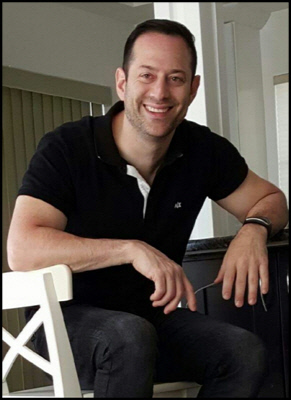 His blood glucose numbers were almost zero. Now they are up to 70. Maximum and minimum blood glucose levels, should ideally be between 100 and 250 mg/dL. He seems to be saying “Thank You” to Julie for saving him. For them to be able to work on him to get him stabilized, in ICU, he needs our help. I can hardly stand it to come and ask you again for help, but this little guy just wasn’t in our plan when last we typed. This is the estimate for the next 24 hours of care for Hobbitt for $703.15. So we are looking at about $1500.00 to try to pull him through. I am sending you a picture of a Bichon or a Bichon mix. He looks from the pic to be on the small side. He was found as a stray and someone left him in an open crate. 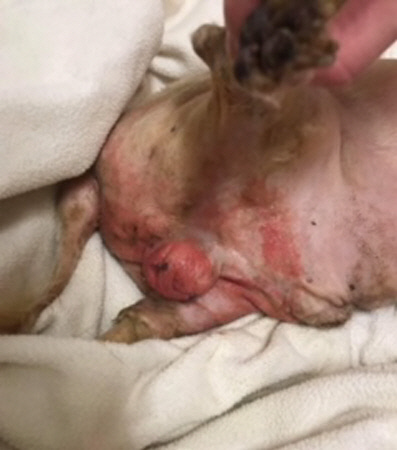 He is urine stained, has severe flea DeMartini with open wounds on his legs, tail and buttocks, along with MAGGOTS crawling all over his wounds and bottom. Thank you for letting me put a hold on him and he is going to need vetting, labs, grooming, neuter, dental, quarantine, and God knows what else! Our rescue pups have been needing so much lately and costing so much ! We rarely get a rescue that hasn’t been neglected, abused, sick or malnourished. It is so sad.. some days I can barely stand it! Some days I ask my self, Sara, why do you keep doing this? All the sadness, heartbreak and anger at the people who did this to these poor babies. Well, I will tell you why I do, because if I don’t than who will? If we say, “oh someone else will do it” then what happens to these innocent souls? I have made a promise to help them, so they can find love, trust and a happy forever home . 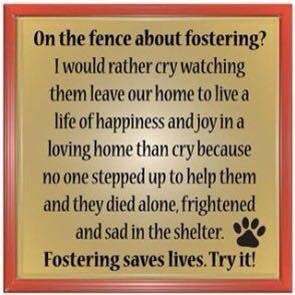 Yes, being a volunteer, foster, donor is what I am, through sad, heartbreaking and happy situations! I am a Small Paws Volunteer and thank God everyday that we have this organization! Thanks you Robin for starting such an unbelievable rescue! You not only are my friend but have been my mentor! You take many dogs that many would not! I just want to say that I feel so blessed to be a part of this great organization! 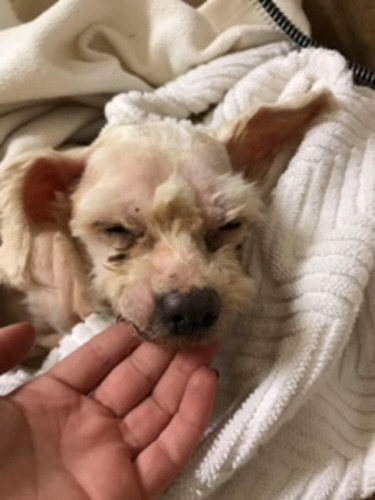 I am here and will issue matching challenge donations for this precious little dog that looks like a cross between a Bichon and a bunny. Our precious little Hobbitt. To make a one time donation, or a monthly donation to Small Paws Rescue, you may use your major credit card securely, at this site. Enjoy our new, user friendly, secure site to make your credit card donations. See Vet Bills Paid by Small Paws Rescue for the first 11 days of September, 2018coming to $11,361.00 which is an average of $1032.87 per day. 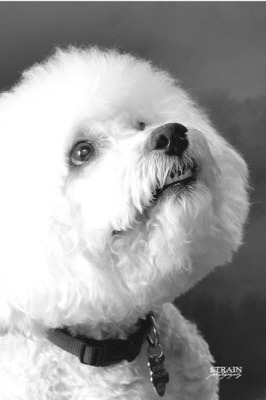 If you’ve made a past donation by credit card, you may e-mail Louie Bertolino atlouieb@smallpawsrescue.org to let him know the amount of your donation for the Bichons. Louie is on Eastern Standard Time! 3316 S. 72nd. W. Ave.
Click on the Bichon puppy to see page 2 of the Small Paws Rescue Newsletter, including fostering and adoption information. Also, Small Paws Was Featured on a “The Chicken Soup for the Soul Podcast”. It’s was an interview of how Small Paws Rescue was born, almost 20 years ago! 2018 is our 20th Anniversary Year! If you missed our previous newsletter, this is the link! If you would like to share this newsletter, this is the link. How to Become a Much Needed Small Paws Rescue Foster Parent! Support SPR by shopping at Amazon with this link! If you are going to shop AMAZON anyway, help the Bichons while you do it! This email is to notify you that Small Paws Rescue Inc. has been issued a $949.31 donation from the AmazonSmile Foundation as a result of AmazonSmile program activity between April 1 and June 30, 2018. The donation was deposited to your organization’s bank account on or before August 15, 2018. It may take several days for the donation to appear in the account. Your current charity Small Paws Rescue Inc.
has received $10,934.47 as of August 2018 since Amazon Smiles began! If you are going to shop at great stores anyway, why not help SPR at the same time and use Igive.com? 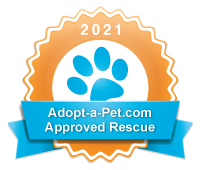 Join now for free and select Small Paws Rescue Inc. as your cause! This is the link to sign up for Small Paws Rescue! P.S. If you want to track how your cause is doing, please visithttp://www.iGive.com//html/causestats.cfm. We have links up there to our SPR Cafe Press Store for SPR Logo Items. Try GoodSearch.com as your search engine and as your online shopping portal! 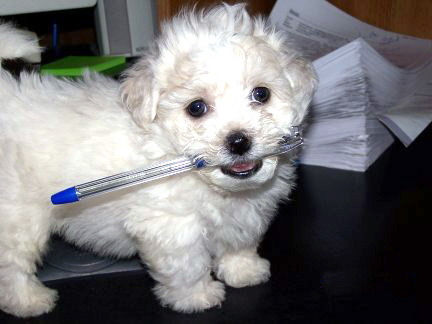 Small Paws is signed up and each time you use it, either to search or to go to an online seller, funds are sent to Small Paws for the Bichons! You can buy those shoes at Zappos and those books at Amazon *AND* donate to Small Paws Rescue! Try it out! So far, Small Pawsers have done over 100,000 searches and have shopped to raise $$2,641.38 for Small Paws Rescue! See how we REALLY feel about our volunteers! When I first saw this beautiful picture of Cheri Sisco’s “Humphrey”, I thought it was truly the epitome of what we do, and why we do it. I wanted to use this black and white picture of Humphrey, taken only days before his death due to congestive heart failure, to let those who may be new to Small Paws, know what we do and why we do it. Without Small Paws, Humphrey would have never known love. He would have died in a kill shelter, sick and alone. 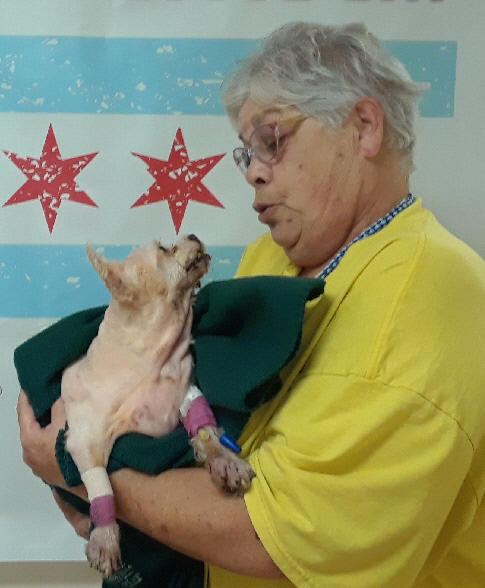 Because of Small Paws, and Cheri Sisco, he lived, he loved, and he smiled.